A naturally glowing healthy skin looks flawless, smooth and beautiful. As we age our skin loses its elasticity, essential nutrients, bounce and glow. Our cheeks begin to lose elasticity and fine lines and wrinkles starts to appear on our face as we age. We can keep our skin naturally stay younger, glowing and healthier for longer years by slowing down the ageing process of our skin by easy natural home remedies for glowing skin. We will packed the top 8 best natural foods to give you easy home remedies tips for healthy skin. The skin ageing process can be slowed down with some healthy foods to have a glowing healthy skin. These easy home remedies will give your skin a more youthful and beautiful glowing look naturally even without using any anti-ageing creams (until in your 40’s). Tomatoes are one of the best foods for good smooth healthy beautiful skin. Tomatoes contain a chemical called Lycopene which is found in large quantity in tomatoes. 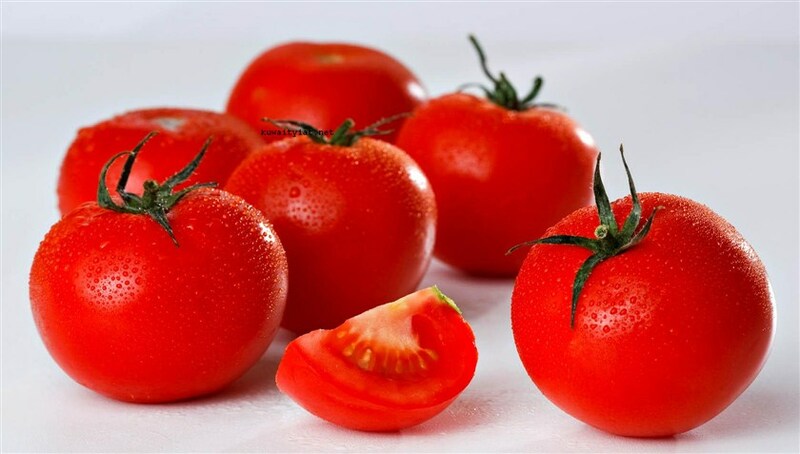 Researches suggest that this compound lycopene blocks the UV rays from the sun and protects the skin from the sun damage. Processed tomatoes contains has more easily soluble Lycopene into the blood. Also tomatoes contains vitamin C which again help to prevent damage of skin by reducing free radicals and there by improving the skin smoothness and glow naturally. It also has vitamin A and biotin which also helps in maintaining healthy skin as well. Include at least 1 tomato in your daily food diet for getting maximum skin health benefit. Carrots are always known for maintaining healthy eyes, as it has large amount of Vitamin A, but another known fact about Carrots is that, it is a great anti ageing food as well. Vitamin A apart from maintaining healthy eyes, it also helps in maintain healthy skin naturally, promote skin healing, fights acne, build new skin tissue, and prevent skin wrinkling. Carrot Oil is a golden coloured extract from carrots with also gives skin protection and conditioning benefits derived from the high quantities of oil soluble carotenoids(easily assimilated antioxidants). 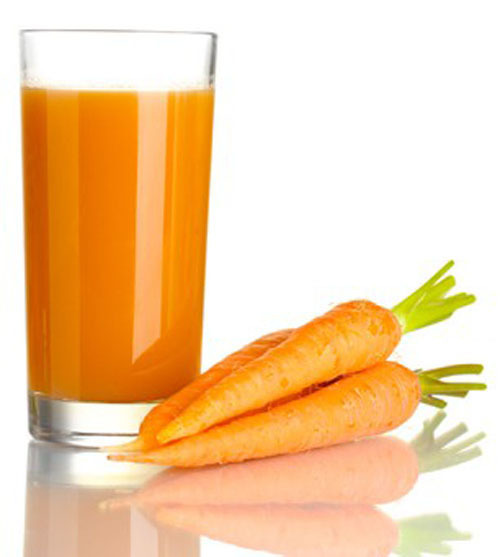 Carrot’s eaten raw or cooked or as juice provides immense skin and overall health benefits as well, which together works for your skin to give it a young lookig and beautiful look. 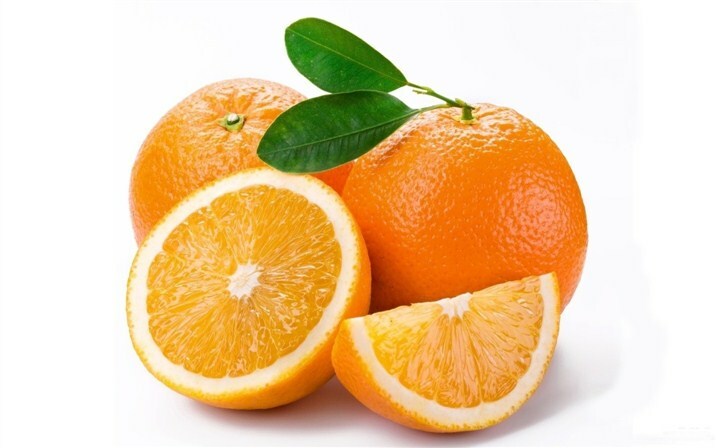 Orange is sweet juicy fruit with large amount of vitamin C and vitamin A. Orange is full of skin boosting and firming compound called as collagen. Collagen helps in Cellular renewal which takes place within deeper dermal layers. Collagen is a protein found in connective tissue such as skin, cartilage, muscles, tendons and ligaments. Vitamin C is necessary for the production of collagen as the lack of Vitamin C breaks down your skin collagen at faster rate, this breaking of collagen accelerates the skin ageing process. Oranges are known as the best collagen boosters, so have at least 1 orange a day to keep your skin wrinkles free and young. Green tea is the power house of anti-oxidants. Green tea has one of the highest content of anti-oxidants than any other foods. Anti-oxidants have been proved to fight free radicals which ultimately slow’s overall body down ageing process including skin. Apart from giving your face skin its powers of anti ageing, the green tea is also good for your overall health- check out 8 health benefits of green tea. 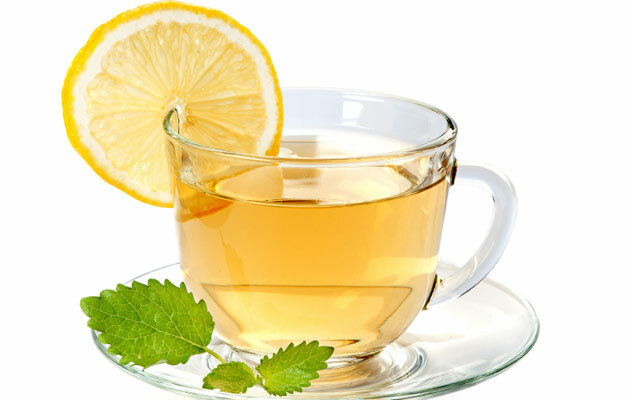 Drink at least 2 cups of Green Tea daily for a younger glowing wrinkle free skin. 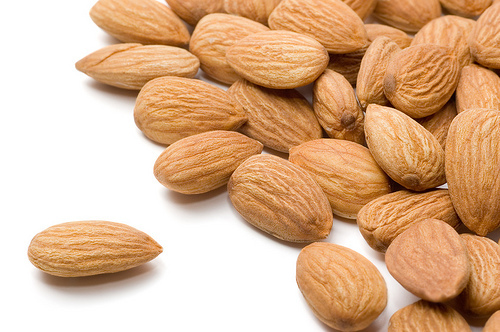 Almonds contains Vitamin E, vitamin A, essential oils and proteins. These all the nutritive compounds work together for making your skin healthy naturally and give your skin a nourished glowing healthy look. Vitamin E is good skin moisturizer, the oils provides skin with the required fatty tissue required to make skin more chubbier and the proteins are required in making new muscles. Proteins also helps in making new healthy face muscles in deeper dermal layers. At least 15 almonds are recommended for daily intake to get its maximum health and skin benefits. Strawberry are packed with vitamins, fiber, potassium. Strawberries are also rich in phenolic compounds such as flavonoids and ellagic acid which has anti-cancer and anti-mutagenic (prevents DNA mutation) properties. Strawberries are high in antioxidants, vitamin C, iron, biotin, and fiber. Vitamin C protect’s our cells from free radical damage which contributes to ageing our skin faster. 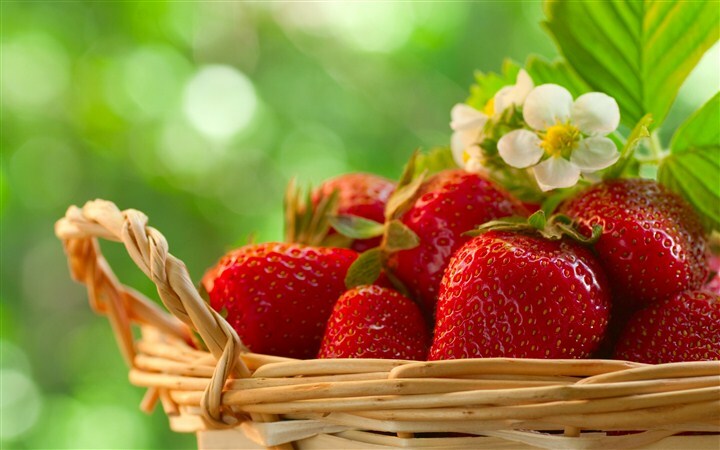 Strawberries also help in making the connective tissue (collagen) formation in the face skin which keeps your skin looking younger, beautiful and healthier for longer. Strawberries contain the antioxidant ellagic acid which helps in protecting the elastic fibers in skin, this helps with preventing sagging of skin and thus you get healthy glowing youthful skin. 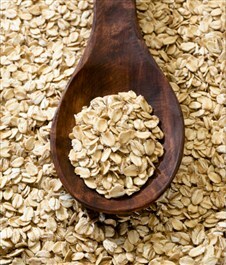 Oats also are packed with the proteins and other necessary healthy vitamin compounds for healthy skin. Oats contains antioxidants that fight against the cell damage which helps plump your skin and helps reduce the appearances of wrinkles as you age. Oats contains ‘Beta glucan’- an oat derived fibre, which penetrates the skin and it smooths out your wrinkles naturally. Oats are good source of protein and proteins help in making new healthy skin cells. Walnuts are packed with omega 3, omega 6, dietary fiber, potassium, magnesium and iron. Walnuts are good for the overall heath apart from its amazing qualities to make your skin healthy, young and beautiful. Walnuts are packed with B vitamins which promotes smooth, supple and younger glowing looking skin. 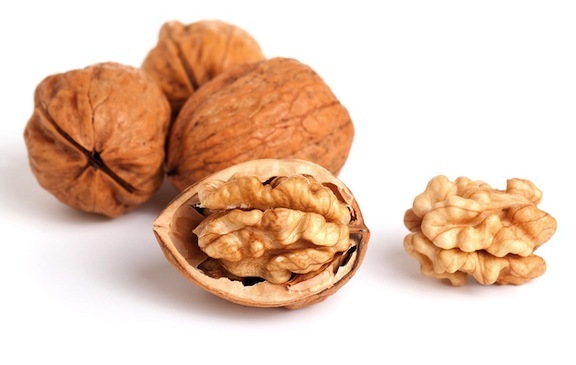 Walnuts fights the free radical present in the body and nourish your skin by omega 3 oils. I recommend that you include these foods in your diet right from the younger age(15-20 yrs) to get its maximum benefits as you age and definitely your skin will be 20 years more younger that it should be as you age ahead. If you already have little wrinkled damaged skin(ie. if you are in your late 30’s or later age), then you can go ahead and try Anti-Ageing creams combined with these easy home remedies for healthy glowing skin, which can little bit reverse the damaged skin. With the combination of the best diet and Anti ageing cream you will get the glowing younger looking skin. 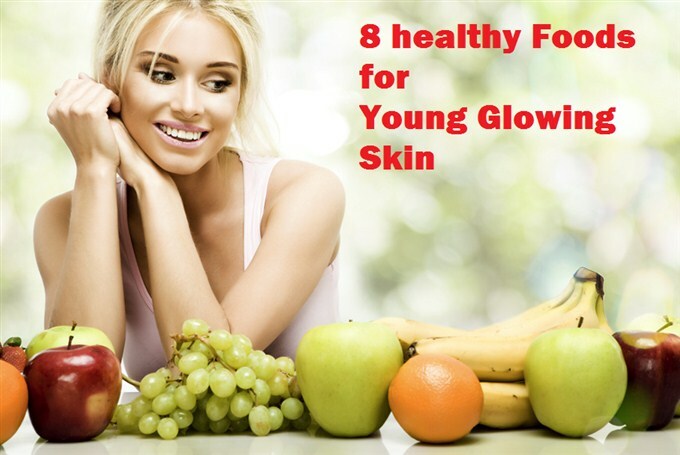 Also along with using anti-ageing creams, continue eating these 8 healthy skin foods as these foods will internally boost your skin health. Also, If you want to know more about skin ageing and bad skin foods, Follow this link- 6 foods that are making your skin age faster. Liked the easy home remedies natural tips for healthy skin…!!! Do Like us on Facebook, share these tips with family and friends and subscribe to Stunning Always to receive all the new health tips, healthy foods and other exciting articles directly reaching into your email inbox. Do comment for any questions regarding anti-ageing foods and skin ageing, also share with us the latest other good healthier eatings options & the beauty tips for healthy skin with us in comments below.